We are the leading manufacturers and suppliers of stainless steel circles. Made from precision quality stainless steel , these circles are in wide demand as these are used in numerous household / kitchenware applications. We have high standard machines for precision quality and size accuracy. 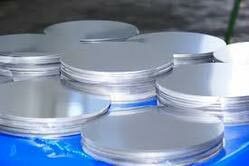 Note : Apart from the above mentioned grades , we also manufacture circles in other grades of 300 and 400 series stainless steel as per the customer requirement.